The great European standoff is not over yet. A key meeting between Greece and its creditors broke up without a deal on Wednesday, EU officials said. The talks are scheduled to resume Thursday. 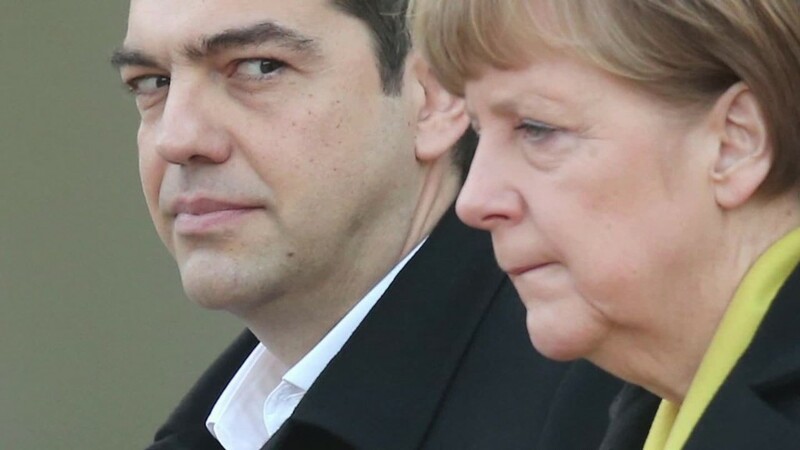 Greece is trying to persuade Europe to hand over the cash it needs to avoid a disastrous debt default. The stakes couldn't be higher. Without a deal this week, the country won't be able to repay the International Monetary Fund 1.5 billion euros due June 30. "Unfortunately we've not reached an agreement yet but we are determined to continue work," said Jeroen Dijsselbloem, who chaired the meeting of eurozone finance ministers. If it misses the payment, Greece may have to introduce capital controls to prevent a run on its banks. Leaving the euro -- the feared Grexit -- would then loom large. Markets surged earlier this week on optimism that a deal could be brokered after Greece submitted new proposals to put its finances in order. But that plan has since been put under the microscope, and run into opposition from Europe and the IMF. "The [creditor] institutions, on their part, submitted a new proposal which transfers the burden [of austerity] to wage earners and pensioners in a way which is socially unfair," Greece's radical left-wing government said in a statement. "The Greek side cannot agree with such change of direction." European stocks sank Wednesday; Greek bank shares and government bonds were also under pressure. The Greek government was offering gradually to raise the retirement age to 67, set the main rate of sales tax at 23%, while continuing to levy lower rates on energy, basic food, medicine and books. It also proposed raising the rates of income and corporate taxes above certain thresholds. Economists say the measures don't do enough to encourage growth, because they place too much emphasis on raising taxes, rather than cutting spending. That means the country could struggle to generate the budget surpluses it needs to service its enormous debts -- a key concern of the IMF. IMF backing for the deal is crucial -- without its blessing, lawmakers in Germany and other European countries may block the release of the 7.2 billion euros that remains of Greece's 240 billion euro international bailout. Europe and the IMF want Greece to spend less on pensions, raise more money from sales taxes, and scale back a planned increase in tax on business. IMF Chief Economist Olivier Blanchard set out the hard choices facing Greece and its creditors in a blog last week. "We believe a reduction of pension expenditures of 1% of GDP (out of 16%) is needed, and that it can be done while protecting the poorest pensioners," he wrote. "We are open to alternative ways for designing both the [sales tax] and the pension reforms, but these alternatives have to add up and deliver the required fiscal adjustment." In return, he said, Europe should offer Greece more debt relief -- by reducing further the interest rates on its emergency loans, and pushing back the dates at which they need to be repaid. That's an issue Europe, so far, has not been willing to discuss.